Over the past few years, PG&E customers have filed lawsuits claiming that the utility company’s “Smart” Meters had caught fire on their homes. Insurance companies seemed to take their side which seems reasonable considering that in Stockton, CA, hundreds of PG&E smart meters simultaneously exploded after a truck caused a power surge in 2015. Kaboom. In 2016, Duke Energy denied any of their AMI “Smart” Meters had caught fire, In 2018, they admitted that some had. People have every right to not want “Smart” Meters on their homes and throughout their communities. They cause other issues besides fires and explosions. They are also costly and utility companies raise customer rates to install as well as replace them. Regardless, utility companies and their supporters continue to promote these meters as beneficial to customers (ha!) and eco-friendly (not!) because they are more profitable TO THEM than original analog meters. Many elected officials and state organizations have been trying to stop their forced installation. Unfortunately, current legislation protects utility companies – not utility customers. A documentary was produced about the “Smart Grid” and utility “Smart” Meters in 2013 – Take Back Your Power. It was updated in 2017 and is free to watch online. Filmmaker Josh del Sol recently released more updates on a 2015 video about these problematic meters as well. 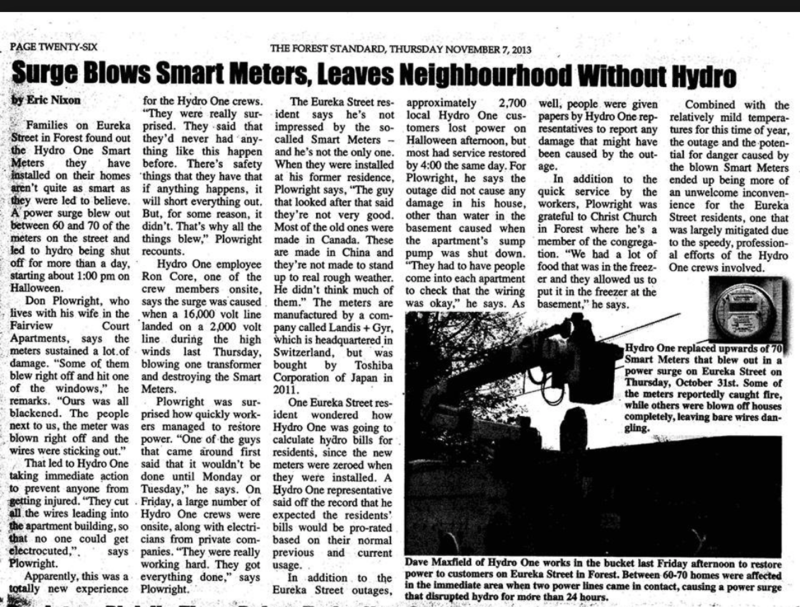 More details about awful utility “Smart” Meters can be found in our archives.